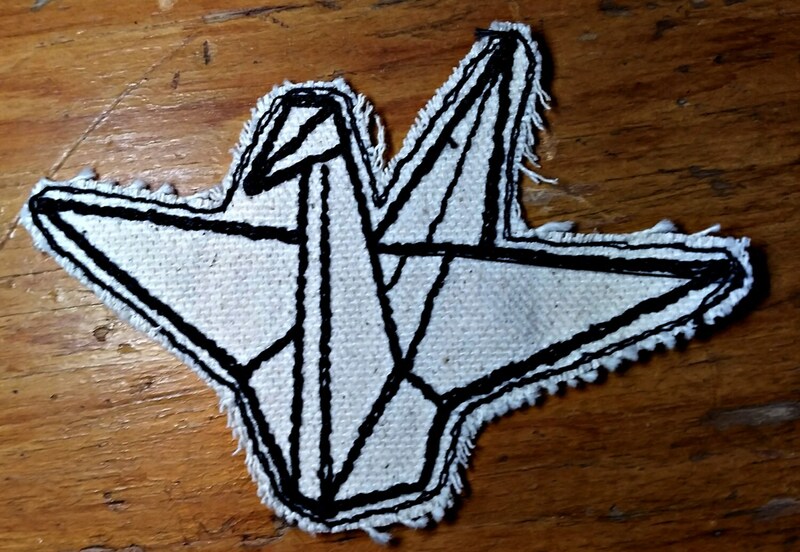 Embroidered Origami Crane Upcycled Canvas Patch. 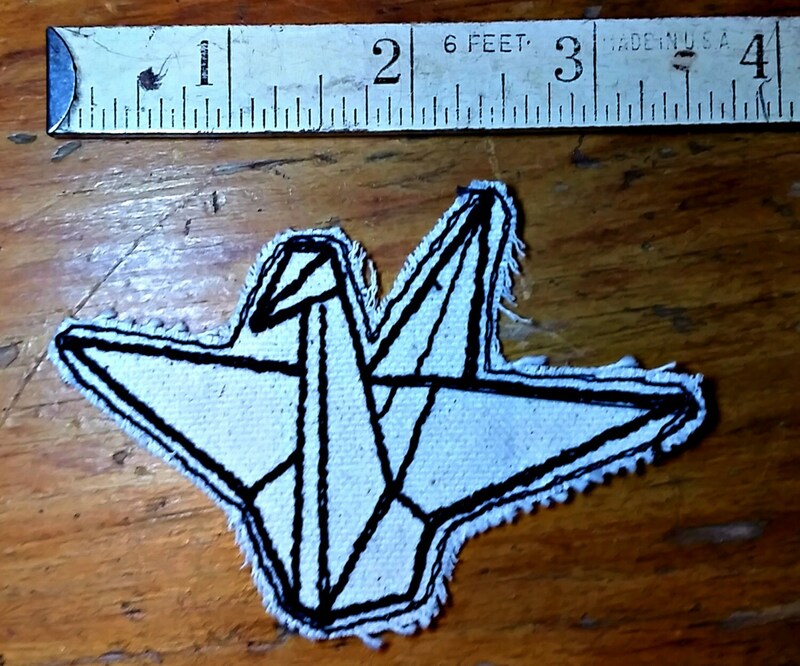 patch is 2.5" high x 3.6" wide. Sew on is also available.